If you’re itching for a break from the madness—you know, pedicabs almost running over your feet at every turn and that 24-hour neon diner sign that shines directly into your bedroom window—we’ve got you covered. These hamlets, villages and towns—all within about three hours driving distance of New York City—are oozing with idyllic charm. Saugerties is a quintessential Hudson Valley town. The village, on the west bank of the river at the mouth of the Esopus Creek, is a historic landmark with a main street full of buildings—antique stores, restaurants, mom-and-pop shops—preserved as their 19th-century selves. Climb to the top of the Saugerties Lighthouse or spend the day at Opus 40, a sprawling outdoor sculpture park. Stay the night at the Villa at Saugerties, a chic B&B that makes décor lovers feel transported from the Mediterranean. The husband-and-wife hosts will take care of your every upstate need and a gourmet, home-cooked breakfast is included too. Drive just ten miles west of Saugerties and you’ll find Woodstock. (Both towns are about a two-hour drive from Manhattan and can easily be done in the same weekend.) The town may be best known for lending its name to the iconic music fest—which, fun fact, actually took place 60 miles away in Bethel—but it’s also home to a thriving art scene and has great hiking options nearby, like picturesque Kaaterskill Falls. For dinner, try the rustic, locally sourced dishes at The Red Onion, a New American eatery in a charming country house halfway between the two towns. Just one square mile in size, this Monmouth County town was built around the “Old Mill”—as locals refer to it—which now houses the popular and vegan-friendly Moth Coffee House. 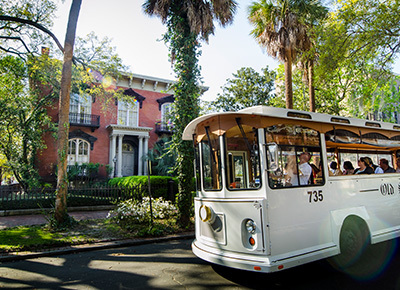 You’ll find lots of stately Victorian-era homes to gawk at and a strip of antique shops in the small downtown area. The local Heritage Park is clutch if you’re looking for solitude—unlike in Central Park, you might have the whole place to yourself at times. Sure, some would say Allentown’s a little bit sleepy, but that’s also the point. Plus, it’s accessible from New York after a short one-hour ride down the Turnpike. Don’t be surprised if you bump into someone you know in Hudson. It’s a small city (about 6,400 people) but it’s only a two-hour drive from Manhattan and a popular getaway, thanks in part to its mid-century antique shops and lively contemporary art scene. Stay at the Rivertown Lodge, built as a movie theater in the late ’20s and now a modern 27-room hotel on Warren Street, Hudson’s main drag. Also on Warren is Grazin’, an old-school diner with yummy burgers, and Swoon Kitchenbar, an upscale brasserie with an impressive wine list and delicious cocktails. Bonus: Hudson is super easy to get to by train—two hours via Amtrak. But you might want to arrive in a VW Bug Convertible to really appreciate the drive and all the scenic country just a short drive outside of town. This *could* or could not be the town Desperate Housewives was based on. Why? It’s picture perfect in every way. Most famous for Philip Johnson’s The Glass House, an all-glass, one-room 1,800-foot structure set on 49 acres, it’s an architecture lover’s paradise. New Canaan is also an easy train ride from Grand Central, so it’s totally doable as a day trip, but don’t leave without grabbing dinner at Elm, a seasonal New American hot spot where the chef takes his direction from frequent travels around the world—meaning there’s new and noteworthy dishes always on the menu with accompanying wines you’d be hard-pressed to find anywhere else in the state. If you blink twice, you might miss this Sullivan County hamlet on the banks of the Delaware River. But that would be a shame, because its charming Main Street is packed with cool shops, like Maison Bergogne and Nest. The outdoor activities aren’t bad either: You can canoe or kayak down the Delaware or take a relaxing float from Skinner’s Falls with Lander’s River Trips. For lunch, eat al fresco at The Heron (and be sure to try the fried chicken). For dinner, The Laundrette serves up delicious wood-fired pizzas and creative cocktails with equally original names (e.g., the Ed Sheeran 75, which spices up the French 75 with—what else?—ginger). Its back patio also has one of the best views in town. You can make the 90-minute drive to New Paltz just to stay at the Mohonk Mountain House… we won’t judge. The all-inclusive Victorian-era hotel sits on 40,000 acres on the Shawangunk Ridge. It looks like a castle, offers dozens of outdoor activities and has a top-notch spa. New Paltz itself, now a college town, is one of the oldest towns in the U.S. with buildings dating back to the early 1700s. And, its age is a big part of its allure. Cold Spring is perfect for a weekend away or even a quick day trip. Reachable by train from Grand Central, you’ll feel completely transported in time thanks to its 200-some preserved 19th-century buildings on the National Register of Historic Places. Visitors also make the trek to hike the surrounding Hudson Highlands. From the top of Breakneck Ridge, a challenging 3.7-mile loop, you’ll have some of the best views of the Hudson Valley. This tiny town 90 miles from Manhattan in northwest Connecticut is most famous for its covered bridge: One of the last in the state, it’s a historic landmark that spans 172 feet over the Housatonic River. It’s also a short drive from 4,000-acre Mohawk State Forest, aka easy access to all things outdoors, including hiking trails, kayaking and rafting tours, and the Mohawk Mountain Ski Area. New York art lovers have been flocking to Beacon—just 60 miles from NYC—since 2003, when Dia:Beacon, a massive museum home to contemporary and modern art, opened its doors and put this small Hudson Valley town on the map. The 300,000-square-foot space was once a Nabisco plant. Our favorite place to stay in Beacon was also once a factory: The Roundhouse, on Fishkill Creek, is now a local landmark with a restaurant, event space and boutique hotel. Old Saybrook has a New England vibe pretty much as close as you can get it to the Big Apple. The seaside town, which was first settled almost 400 years ago, is home to a quaint Main Street and a scenic marina. It’s idyllic for spring and summer boat rides or anyone who loves being on the water. The Saybrook Point Inn and Spa is a gem, as is its waterfront restaurant, Fresh Salt. Just ten miles inland from the Long Island Sound on the west bank of the Connecticut River, about 4,000 people call this town home. Creative types visit from all over, thanks to its winding Main Street, wide variety of galleries, shops, restaurants and artsy social scene. Forget Napa: New Yorkers looking for a quick wine getaway should look no further than Long Island’s North Fork. The antithesis of its sibling on the south shore, the North Fork is more about wineries, farm stands, sailing and country roads than about the glitz and glam of the Hamptons. Greenport is its seaside center. Cape May is arguably a bit farther than most of the other destinations on this list, but it’s well worth the nearly three-hour drive. The seaside Victorian village is historic—the entire town is actually landmarked—and has a too-cute-for-words downtown. That said, its expansive beach and the town’s lighthouse at Cape May Point are the real draws here. In the Berkshires, Great Barrington is undoubtedly celebrated for winter getaways thanks to the Butternut Basin ski area nearby. The petite village is also a hiking-, biking- and walking-friendly destination year-round and has been designated an Appalachian Trail Community. But regardless of how you decide to work up an appetite outdoors, it’ll be well worth it: The town is also known for a top-notch dining scene. These waterfront sister cities are separated by the Delaware River (and a state line). Lambertville—nicknamed the “Antiques Capital of New Jersey”—is about 75 miles southwest of Manhattan. Both towns are also known as artist enclaves, so you’ll find lots of galleries, arts festivals, cute shops and a great restaurant scene. The area is also well-known for its LGBTQ-friendly communities. See a show at the Bucks County Playhouse and stay the weekend at the luxe and historic Carriage House of New Hope nearby. This coastal Connecticut hub is probably best known for its harbor—and maybe its pizza. The Mystic Seaport is a living museum, home to America’s oldest commercial ship, an 1841 whaler, and more than 500 other historic ships. Mystic’s historic downtown is a lively neighborhood full of cafes, restaurants and shops spread along the edges of the Mystic River. The population of this picturesque New Jersey suburb swells in late summer when students return to campus at Drew University. The school itself provides visitors with lots to do like the Zuck Arboretum, the university’s forest preserve and the Shakespeare Theatre of New Jersey. The best part: Madison is just 30 miles from midtown Manhattan and has direct service from Penn Station.